NASA needs a backup plan for getting astronauts to space, given additional delays on the horizon for new commercial crew capsules, the US Government Accountability Office recommended Wednesday. That’s the top suggestion in the GAO’s latest report on the SpaceX and Boeing crew capsules under development. Both companies have been shooting for test flights by the end of this year. But the GAO warned in its 47-page report that despite progress, further delays are likely. If postponements keep mounting, the GAO fears there could be a gap in US access to the International Space Station. With its last shuttle flight seven years ago this month, NASA has been paying Russia up to $82 million a seat to ferry US astronauts to and from the International Space Station. But that contract is up at the end of next year. “NASA is considering potential options, but it does not have a contingency plan for ensuring uninterrupted US access,” the report by the Congressional watchdog agency stated. “NASA must balance safety with acceptable risk for human spaceflight,” the report stated. NASA’s human explorations chief, William Gerstenmaier, said the space agency is actively working on options to keep Americans living and working, uninterrupted, at the station. He also noted that while the different documentation for measuring crew risk can be confusing, it is up to NASA’s commercial crew program to assure the proper safety guidelines. SpaceX and Boeing have been vying to be the first to return Americans to space from US soil since 2014, three years after NASA’s shuttle program ended. That’s when NASA awarded contracts totaling nearly $7 billion to SpaceX and Boeing to develop crew capsules and demonstrate them in flight. The agreement called for the spacecraft to be certified by 2017. 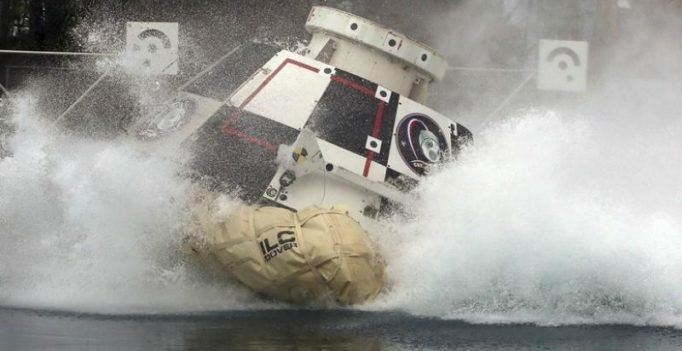 The SpaceX capsule is a beefed-up, human-rated version of the Dragon capsule already used to deliver cargo; Boeing’s craft is named Starliner.